Hope you're aware that nTel is one of the 4G LTE network service provider Nigeria and is working perfectly though not yet available in all state. 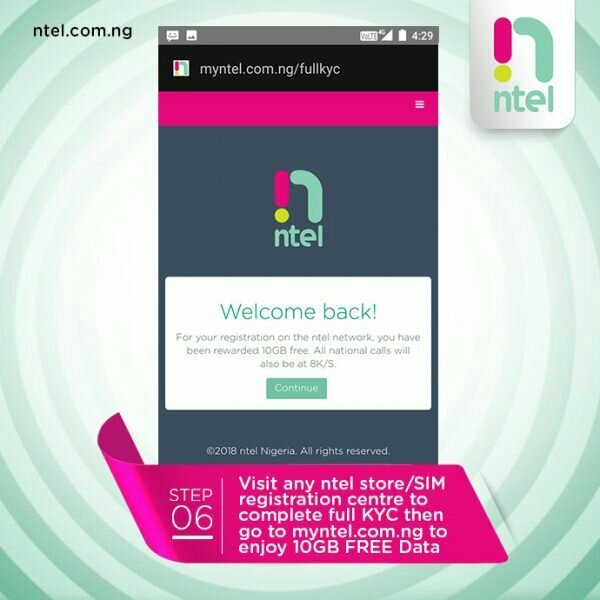 Recently nTel unveil another bursting bonuses for their users in Lagos state and some part of River \state and Abuja as said by the network operator. This is one of big deal bonuses ever as they call it 3-in-1 offer for all users, the bonuses are packaged in a SIM card called nTel WAWU SIM. 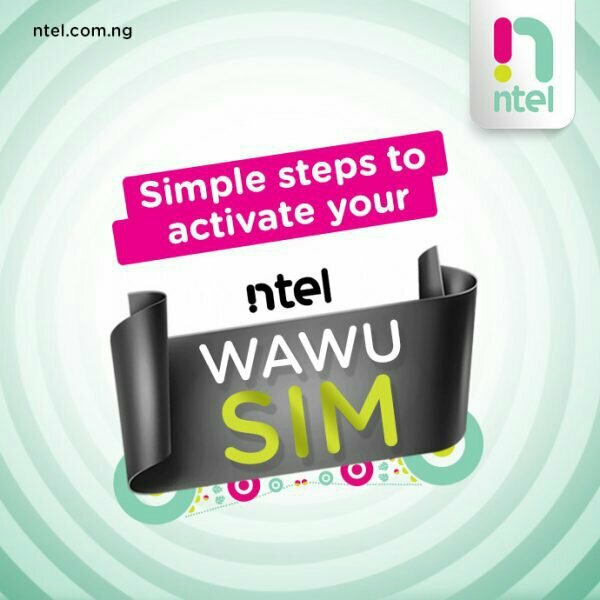 Don't ever think that this is a magic , it's for all user that buy the new WAWU SIM card. You get over 10GB of data, 500% double data on any dtat you purchase and also allow you to make call for as low as 8kb/sec on a VoLTE. 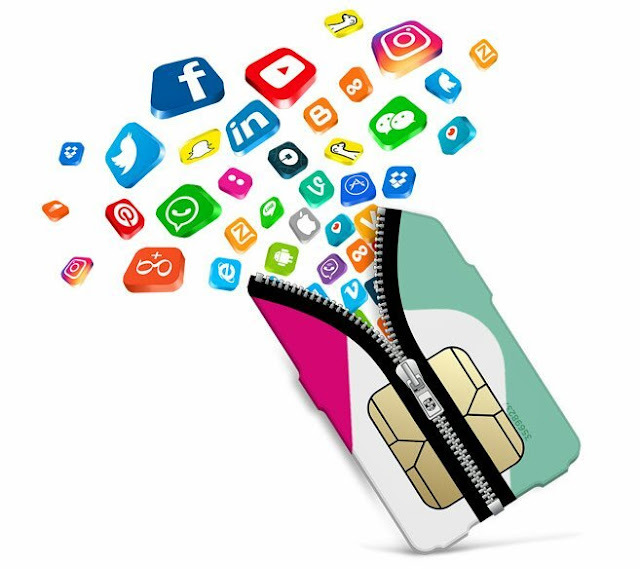 Visit any participating device retailer or spot the nTel activation team in your neighborhood and get the nTel WAWU SIM for free (1GB is preloaded that valid for 48 hours). To unlock more bonuses, visit any nearest nTel SIM registration centre and complete SIM registration to unlock: Free 10GB data valid for 30 days, 8kb/sec to all networks for one year and 500% bonus on all data plan purchases for one year. 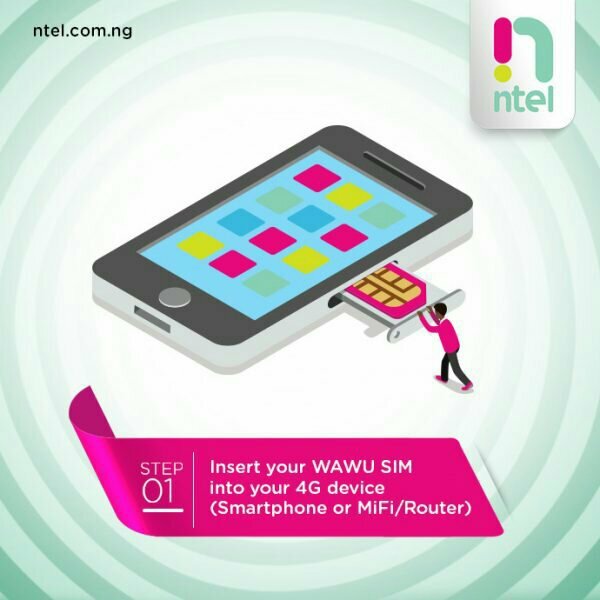 STEP 1: Insert your WAWU SIM into your 4G device (Smartphone or Mifi/router). 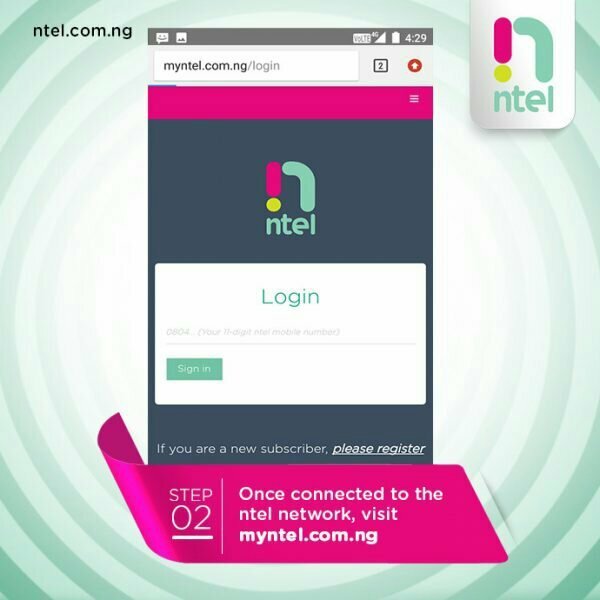 STEP 2: Once connected to the nTel network, visit myntel.com.ng. STEP 3: Fill the mini-KYC with your details. 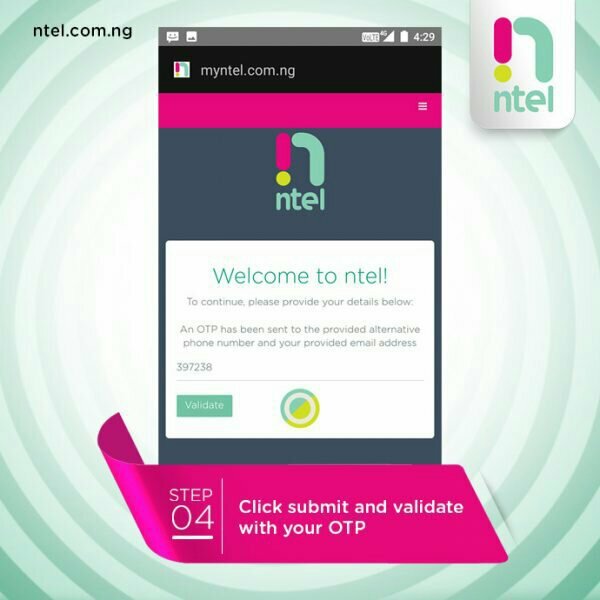 STEP 4: Click submit and validate with your OTP. STEP 5: Get your 1GB FREE data and note your MSISDN plus reference code. 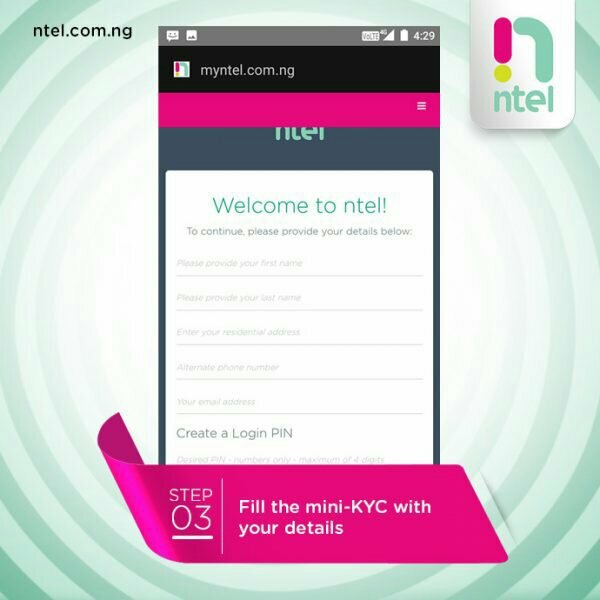 STEP 6: Visit any nTel store/SIM registration centre to complete full KYC then go to myntel.com.ng to enjoy 10GB FREE Data. 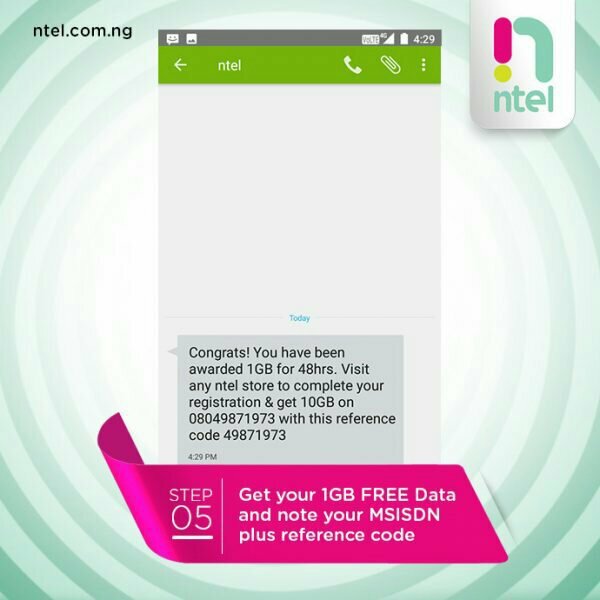 The free preloaded 1GB data bonus valid for 48 hours. The free 10GB data valid for 30 days. The free 500% data bonus on data plan purchases valid for a year (1 year or 365 days). The 8kb/sec offer for calling all networks valid for a year (1 year or 365 days). When will this promo end? These bonus offer is only available on nTel wawu SIM card so if you want to enjoy this offer you need to get your SIM card and follow the necessary steps. 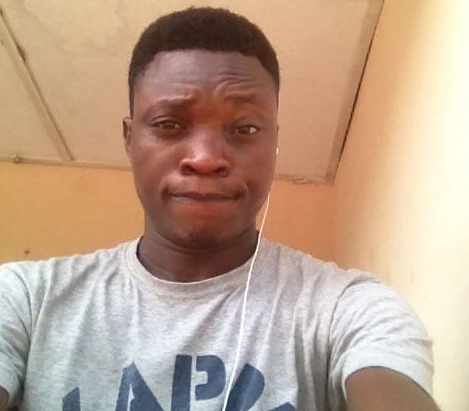 Meanwhile nTel wawu bonuses offer is yet to be available in all state so try and confirm before you buy it. Currently it is available in just three state which are Lagos, River state and also Abuja as said by the network operator.